Supreme People’s Court (SPC) President Zhou Qiang’s report to the National People’s Congress in March of this year omitted data on private lending disputes. 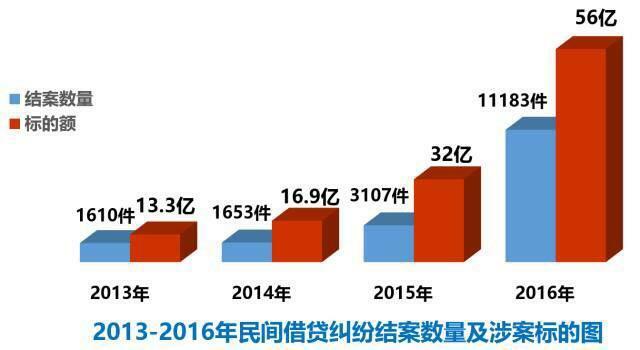 In 2016, Zhou Qiang stated that the courts dealt with approximately 1.5 million cases, up 41% from the year before. According to a widely cited study issued in November, 2016, private lending disputes were the leading type of civil dispute in the Chinese courts in 2011-2015. Data on private lending disputes in 2016 seems to be missing from year end reports by many local courts, although the the SPC is promoting the use of big data. The report discussed below is an exception to the general trend this year. Beijing’s Chaoyang District Court, one the busiest basic level court in China, recently published a report on private lending cases. The court noted that the year on year growth rate for private lending cases was 8.1% (2013-2014), 128.9% (2014-2015), 160.3% (2015-2016), with 2016 cases over five times the number in 2013. 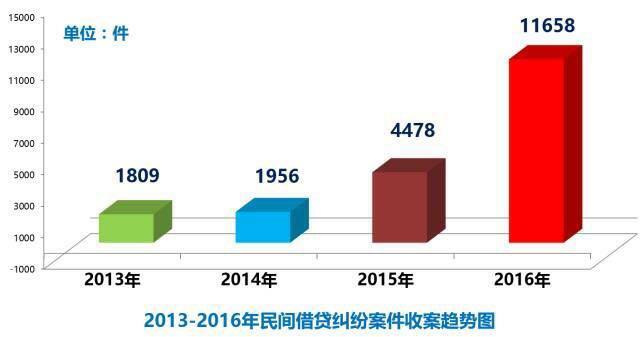 In the first four months of 2017, the Chaoyang court accepted 8777 new cases. The court expects the number of private lending cases to increase substantially during 2017. 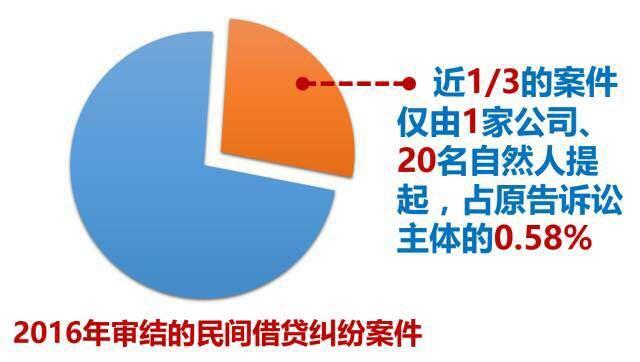 Cases involving large amounts in dispute are on the rise: in 2013, 21 cases involved more than 10 million RMB, 31 in 2014, 61 in 2015 and 95 in 2016, with one case in 2016 involving 96 million RMB. Total amounts in dispute in 2016 were over 821 million USD. Almost 1/3 of the cases involved one company. Few cases were settled and over 20% were default judgments. This entry was posted in Commercial law, shadow lending.